Do you frequently have to go back and check to make sure if you’ve performed an action – sometimes over and over again? Do you repeat actions in order to stop something terrible from happening? Do you worry constantly about making mistakes? Do you worry constantly that harm will come to someone because of you? Do specific thoughts come into your mind that make you do things repeatedly? Do you constantly seek reassurance from others that the doors are locked, the stove is off, etc.? Do you have a difficult time finishing things because you have to repeat certain actions? Compulsive checking is type of Obsessive Compulsive Disorder (OCD) and checking for safety or danger is one the most common of the compulsive checking behaviors. 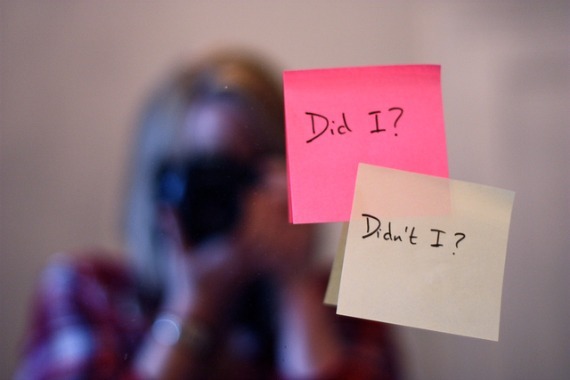 Individuals with compulsive checking have an amplified fear of uncertainty and tend to have constant obsessive thoughts about being careless and irresponsible or otherwise seriously messing things up. These obsessive thoughts cause them to imagine that they will be responsible for disasters or accidents, which will lead to the blame and contempt of others. This fear of making a dreadful mistake leads to compulsive checking rituals in an attempt to make sure that accidents will be avoided at all cost. Because of this, individuals with this type of OCD, often check everything. They check the stove, the toaster, the front door, the faucet, the television. Quite often this checking is performed over and over, sometimes for hours on end, in order to make absolutely certain that no harm will come to anyone. At our Orlando counseling practice, we have found that compulsive checking often begins in children and teens and continues into adulthood. While some of the checking compulsions are obvious to other family members, others are done in secret. In both children and adults, checking compulsions often become part of a bedtime ritual, whereby certain actions are performed to ward off potential danger. Why Seek Cognitive Behavioral Therapy for OCD? Cognitive behavioral therapy (CBT), specifically ERP, can help you to conquer your OCD by disobeying your thoughts and doing the opposite of what your OCD thoughts demand that you do – this can be extremely empowering for someone who struggles with OCD checking compulsions. Eventually, through CBT, you will learn that you can tolerate and manage the anxiety that is induced by your obsessive thoughts about safety and danger without the need to perform checking compulsions. 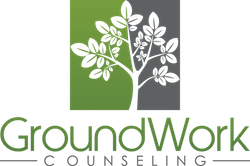 At GroundWork, our therapists and counselors have advanced training and certification in Cognitive Behavioral Therapy and provide Exposure and Response Prevention (ERP), which can help you to practice facing your fears so you will learn to be less distressed by your obsessive thoughts about safety and danger and more able to handle uncertainty and anxiety. Because cognitive behavioral therapy is an empirically proven method of treatment for OCD and research has confirmed that 75% of individuals with OCD significantly improve with CBT, it is important to confirm that you are actually receiving CBT. Recent studies have found that often people believe they are receiving cognitive behavioral therapy, when in fact they are receiving another form of therapy or counseling, which studies have confirmed to be less effective than CBT for the treatment of OCD. If in doubt, be sure to ask your therapist or counselor if he or she received specific training and certification in cognitive behavioral therapy and exposure and response prevention (ERP) from a credible institution.